Even good listeners are often guilty of critically evaluating what is being said before fully understanding the message that the speaker is trying to communicate. The result is that assumptions are made and conclusions reached about the speaker's meaning, that might be inaccurate. This and other types of ineffective listening lead to misunderstandings and a breakdown in communication. Even if we are not formulating a response whilst listening, we may still be thinking of other things, albeit subconsciously. During a conversation, how often have thoughts such as "What am I going to have for my dinner", "Will I have time to finish that report?" or "I hope I am not late picking the kids up" crossed your mind? At such times, we are distracted and not giving our full attention to what is being said. In other words we are not actively listening to the speaker. We can easily pick up bad habits when it comes to listening - this page examines some of the barriers and bad habits of listening - enabling you to address and correct them. 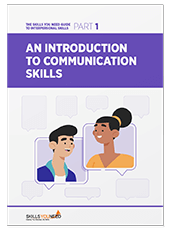 Listening is a key interpersonal skill and a prerequisite to many other communication skills – by learning to listen more effectively you can improve the quality of your professional and personal life. You find the communicator attractive/unattractive and you pay more attention to how you feel about the communicator and their physical appearance than to what they are saying. Perhaps you simply don't like the speaker - you may mentally argue with the speaker and be fast to criticise, either verbally or in your head. Sympathising rather than empathising - sympathy is not the same as empathy, you sympathise when you feel sorry for the experiences of another, to empathise is to put yourself in the position of the other person. You have preconceived ideas or bias - effective listening includes being open-minded to the ideas and opinions of others, this does not mean you have to agree but should listen and attempt to understand. You make judgements, thinking, for example that a person is not very bright or is under-qualified so there is no point listening to what they have to say. Previous experiences – we are all influenced by previous experiences in life. We respond to people based on personal appearances, how initial introductions or welcomes were received and/or previous interpersonal encounters. If we stereotype a person we become less objective and therefore less likely to listen effectively. Preoccupation - when we have a lot on our minds we can fail to listen to what is being said as we're too busy concentrating on what we're thinking about. This is particularly true when we feel stressed or worried about issues. Having a Closed Mind - we all have ideals and values that we believe to be correct and it can be difficult to listen to the views of others that contradict our own opinions. The key to effective listening and interpersonal skills more generally is the ability to have a truly open mind - to understand why others think about things differently to you and use this information to gain a better understanding of the speaker. Lack of eye contact with the speaker – listeners who are engaged with the speaker tend to give eye contact. Lack of eye contact can, however, also be a sign of shyness. An inappropriate posture - slouched, leaning back or ‘swinging’ on a chair, leaning forward onto a desk or table and/or a constantly shifting posture. People who are paying attention tend to lean slightly towards the speaker. Being distracted - fidgeting, doodling, looking at a watch, yawning. Inappropriate expressions and lack of head nods - often when a listener is engaged with a speaker they nod their head, this is usually an almost subconscious way of encouraging the speaker and showing attention. Lack of head nods can mean the opposite – listening is not happening. The same can be true of facial expressions, attentive listeners use smiles as feedback mechanisms and to show attention. Sudden Changes in Topic: When the listener is distracted they may suddenly think about something else that is not related to the topic of the speaker and attempt to change the conversation to their new topic. Daydreaming: Daydreaming can occur when the listener hears something that sets off a chain of unrelated thoughts in their head – they become distracted by their ‘own world’ and adopt a ‘far-away’ look. Advising: Some people want to jump in early in a conversation and start to offer advice before they fully understand the problem or concerns of the speaker. You can probably think of examples when you have listened ineffectively or not been listened to over the last 24 hours. You can probably recognise the frustration and irritation when you know the person you are talking to is not listening to you. As listening is so fundamental to the communication processes it is important to try to avoid ineffective listening. How good are your Interpersonal Skills?